Peggy Otum has represented clients on complex environmental issues at the federal and state level for well over a decade. Her practice focuses on advising corporate clients on a broad range of environmental enforcement, litigation, and transactional matters, primarily involving hazardous waste requirements, natural resources, and real estate issues under the major federal environmental statutes and state analogs. Ms. Otum counsels companies in a variety of sectors, including chemicals, energy, pharmaceutical, electronics, real estate development and private equity. Her litigation experience includes toxic tort defense in addition to routinely representing clients in enforcement actions brought by federal and state regulators for violations of RCRA, CERCLA, EPCRA, TSCA, the Clean Air Act and OSHA, as well as state extended producer responsibility and product stewardship laws. Her transactional experience includes counseling clients with respect to M&A and real estate environmental due diligence for large scale and single parcel transactions, insurance and risk mitigation counseling, and post-sale indemnity disputes. 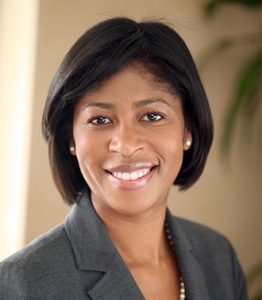 Ms. Otum is an ardent supporter of women leaders in business and law and has helped cultivate the firm's San Francisco WomenConnect program, which provides a forum for San Francisco Bay Area women lawyers and senior-level clients to network and learn from each other. She was recently featured on Working Mother magazine's list of "The 2015 Working Mothers of the Year."